On Tuesday, leaders of the campaign gathered in Washington D.C. from around the country to release a groundbreaking report and call to action. Watch the powerful press conference here. 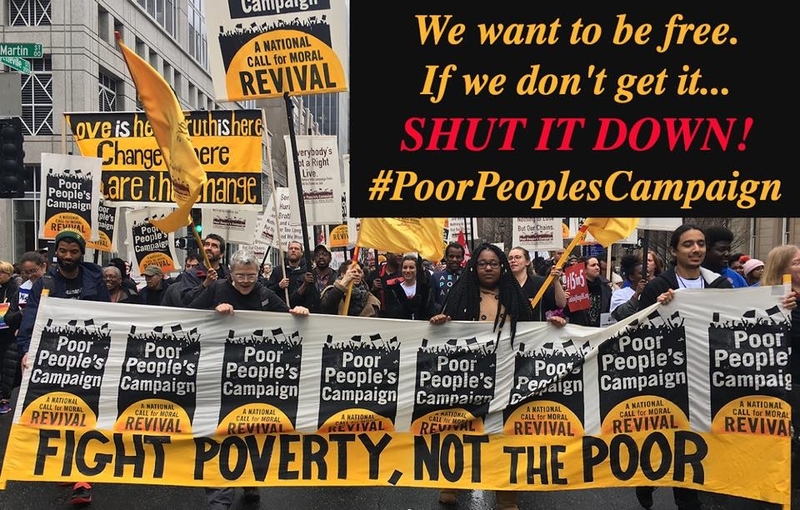 The Souls of Poor Folk Audit documents how Americans are impacted by systemic racism, poverty, militarism, ecological devastation, and a distorted morality. Along with the audit, the campaign released a Moral Agenda Based on Fundamental Rights, which puts forth demands for 40 days of coordinated nonviolent direct action that will launch the campaign this Mother's Day. New York was well represented. NYS Poor People's Campaign co-chair Rev. Claudia de la Cruz said: "Poor people may not run the United States, but we make it run. We're ready to shut it down with our bodies, for the simple fact that our bodies are on the line every day because of policies that are created to kill us." Watch Rev. de la Cruz last Saturday in New York City: "There is no shame in being poor. Those who create the condition of poverty should feel all the shame in the world. We cannot stand by and watch anymore." Help spread the word by sharing the video on Facebook and Twitter. As the work moves forward nationally, the New York campaign is also busy preparing for the 40 Days of Action in our state. You’re invited to join a statewide webinar on Wednesday, April 18, 7-8:30 pm. This webinar will provide an update on the campaign in New York State, an overview of the upcoming 40 Days of Action, and ways for people in any part of New York to get involved. Upcoming Events listing can be found here. Thank you for your commitment to building this movement. We look forward to working together toward a moral revival in New York and the nation!